Hit comedy Derry Girls was one of the most successful shows of 2018 and with Season 2 on its way, fans are keen to know what shenanigans the gang will get up to in the new series. 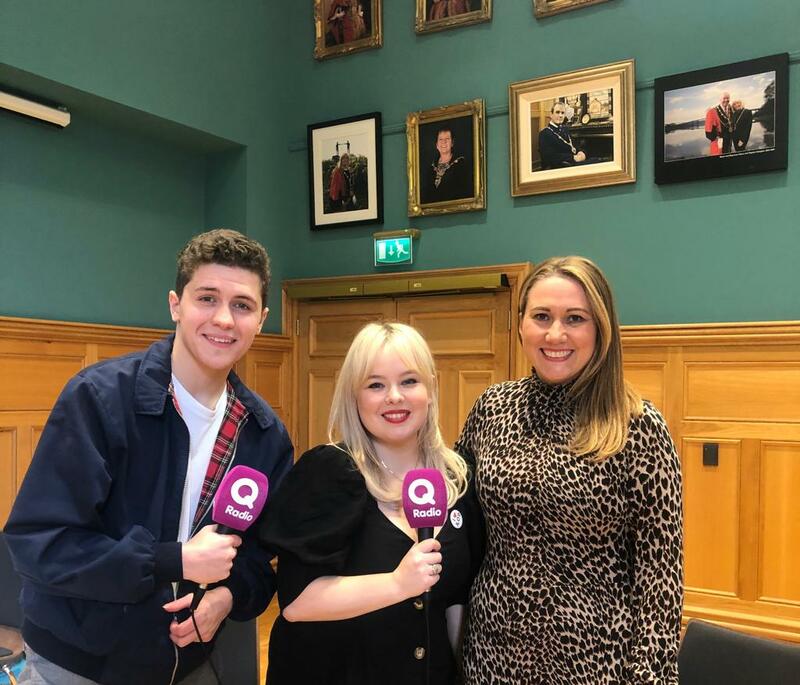 Q Radio breakfast presenter Cate Conway caught up with Derry Girls creator, Lisa McGee and the Derry Girls cast at the Guildhall in Derry this month to find out more about Season 2 and how they all feel about the global success of the show. Derry Girls is the creation of acclaimed writer Lisa McGee who has mined her own experiences to create a one-of-a-kind, family-centred comedy set against the backdrop of The Troubles. The show is set in Derry/Londonderry and offers viewers an insight into teenage life there during the 1990’s. The sitcom follows the life of Erin Quinn, her cousin Orla McCool and friends Clare Devlin, Michelle Mallon, and Michelle’s tag along English cousin, aka The Wee English Fella, James Maguire as sixteen-year-old youths and their experiences of life and school. When & why did you decide to write 'Derry Girls'? 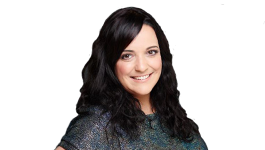 Lisa Mc Gee tells Cate Conway the show was: “Inspired by school friends, family and friends. "I hoped everyone would like it but I never imagined how well it would it go. “I always wanted to write something about my home town. “The stories came from letters that I’ve kept along with my friends. I’m still friends with the same girls from school. “I’m really proud of Season 2! I story lined last March – it took 6/7 months of writing then shooting." In Series 2, we are going to see some new characters. Iconic Irish comedian and actor, Ardal O’Hanlon will guest feature in the Derry Girls show as a family relative of the Quinn/McCool family. Ardal is famous for playing the priest ‘Father Dougal’ in hit TV show Father Ted. Lisa, what can you tell us about Derry Girls Season 2? Season Two is set to be even funnier, authentic and poignant. It will feature great music and spark nostalgia amongst audiences! When casting for Derry Girls, did you know who was going to play which character? Lisa tells Cate Conway she knew all of them were going to play the characters as soon as they entered the room. "And two of them were from Derry, I couldn’t believe it! Only them I feel could have only played the characters. They all just clicked – they are the real gang – losers - they are the real Derry Girls!" What do you love about Derry? "The place has been through a lot but has never lost its humour. The people here are amazing and really unique. I'm happy I could shine the light on it in a positive way." Who is really similar to their character off set? Saorise Jackson & Louisa Harland: “Dylan is very similar to his character. And so is Jamie-Lee." Six brand new thirty minute episodes of Derry Girls is coming to TV screens in March. Can you give us any sneak previews for Series 2? What has been your top highlights from working in the show? How did you settle in with the cast and living in a different city? Both cast members, Nicola & Dylan are not from Derry/Londonderry and have had to educate themselves about the city, the culture and ultimately learn the local accent & slang. Dylan: “I was homesick at the start...I missed my friends and family. I missed English stuff. The girls took me under their wing." 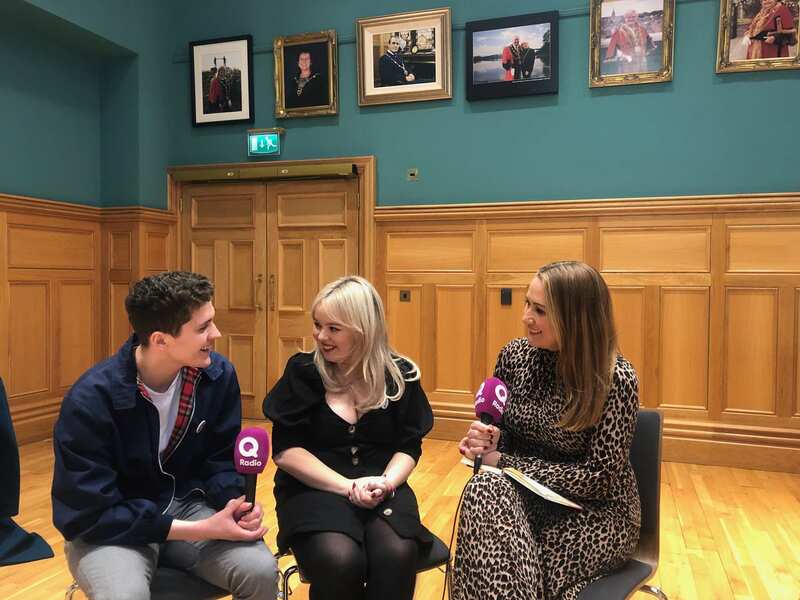 With the global success of Derry Girls, what does the future hold for you? Derry Girls will air on Channel 4 on Tuesday 5th March at 9.15pm. 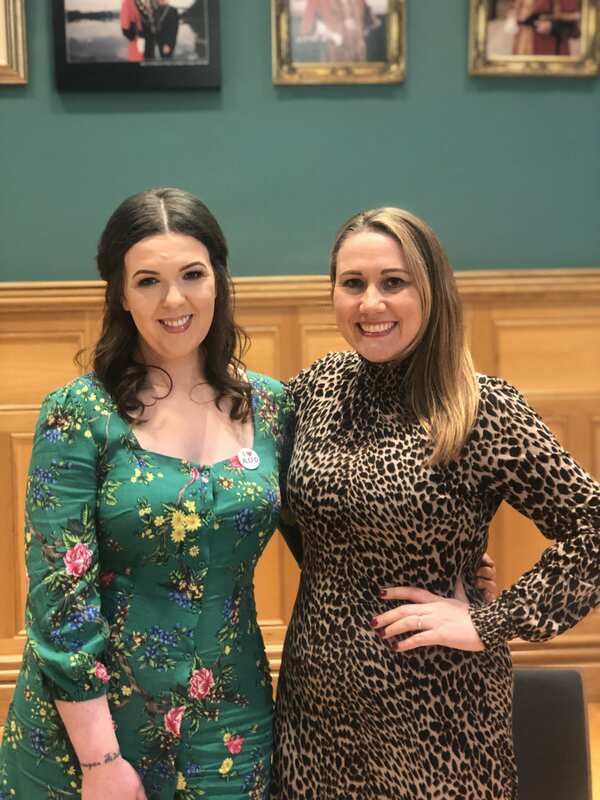 Derry Girls is a commission for Hat Trick Productions and is a showcase of creative talent from Northern Ireland, entirely set and made locally. Derry Girls has received funding from Northern Ireland Screen.